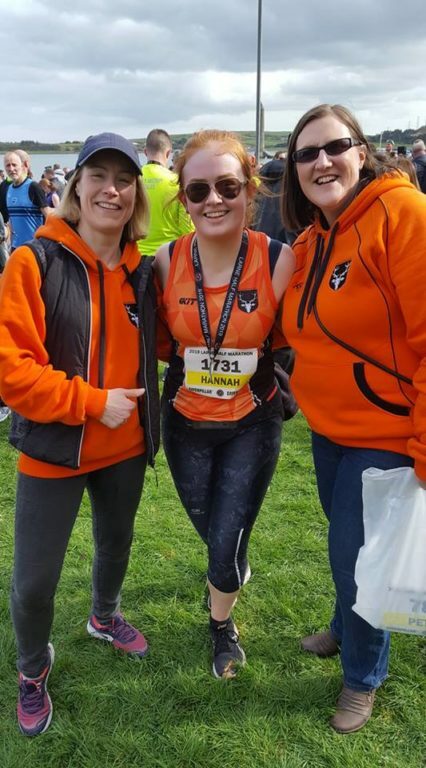 One event dominated the race calendar last week as far as Orangegrove athletes were concerned. 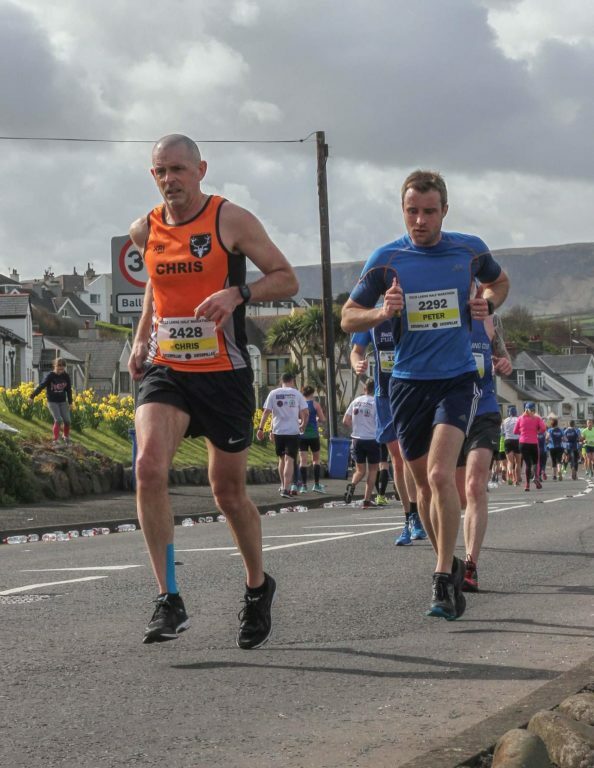 Larne Half Marathon is a favourite among the club and obviously many clubs, as it sold out months in advance. 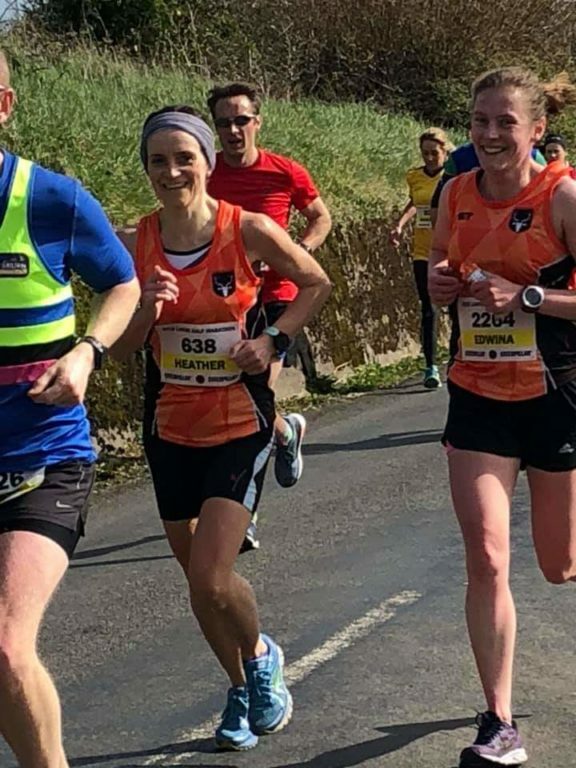 This year, the race featured as the 3rd race in the OAC Club Championship and as such was a target race for many of those who were not partaking in spring marathons, but also provided an ideal opportunity for those on marathon training wanting to gauge their progress. 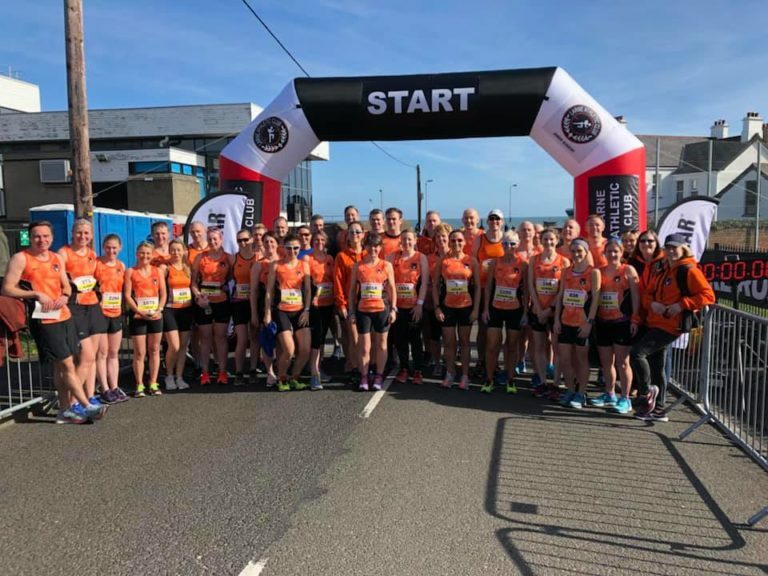 Conditions were perfect on the day with mild temperatures and sunshine, as 48 Orangegrove athletes toed the starting line. 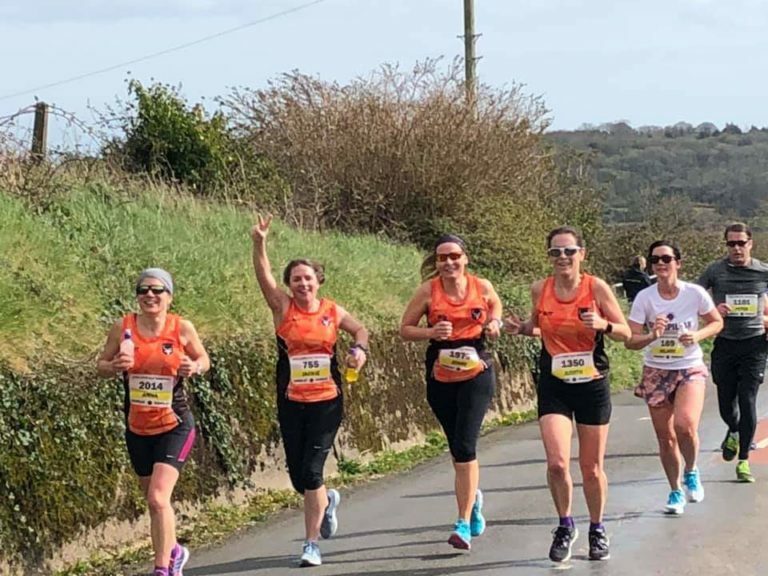 There were many outstanding performances across the club, producing a ridiculous number of HM PBs, a testimony both to the quality of the training plans being provided by the coaching team and the commitment of club members in executing them. The race was won by Vincent McKenna of Acorns AC in 1:09:40 and the first lady to finish was Mourne Runners’ Laura Graham in 1:15:46. Danny Bradley led the OAC men home in an excellent 1:21:24, and Gemma Blake was the first OAC lady across the line in 1:36:41. 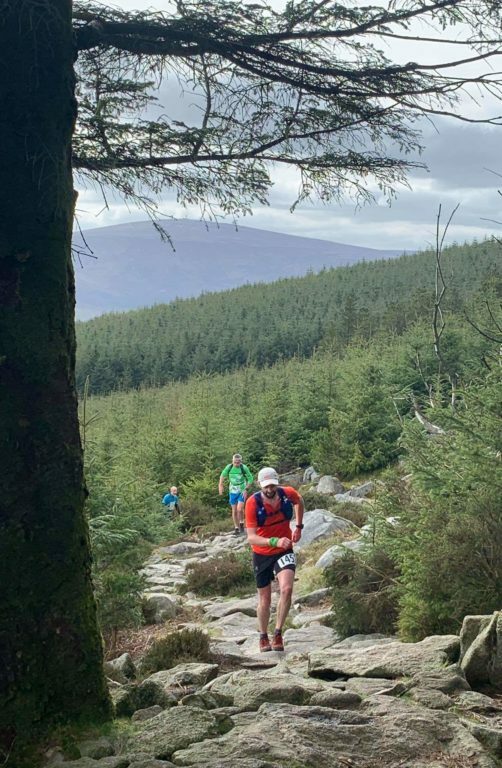 Andrew Tees completed the Maurice Mullins Ultra in Co Wicklow, a 50km course through the Wicklow Mountains encompassing 1900m of ascent, finishing in 5:12:55 (40th/236). Michael O’Donoghue ran the Colchester Half Marathon in 1:36.